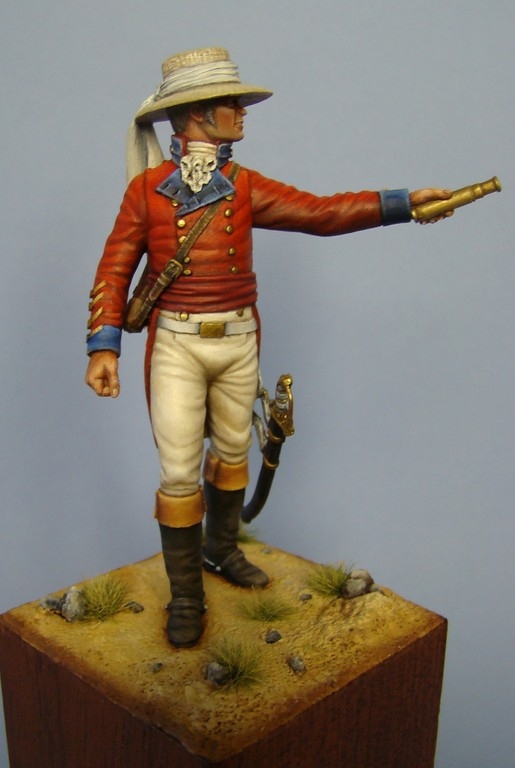 This is one of our recent release at Euro Militaire 2013 sculpted by Alan Ball and is a 75mm figure of Arthur Wellesley at Assaye. The box art has been painted by Eddy Vandersteen. Arthur Wellesley before the battle of Assaye went forward and inspected the Maratha Army encampment. This figure is one of a four piece set that Hawk Miniatures has produced which can be grouped together to show Arthur Wellesley with his advisers as he surveys the camp. The kit is now available in our shop here.